Tech companies are apparently a lot more interested in our digital well-being these days, with both Android P and iOS 12 showing off features that tell you how much time you're spending glued to your smartphone's screen. Now it would appear that Facebook is getting in on the act too. 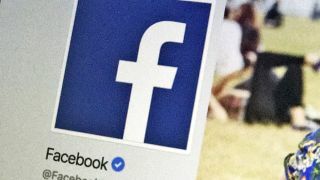 TechCrunch discovered a page hidden away in the Facebook app for Android called "Your Time on Facebook" – as the name suggests, it tells you how much time you're spending each day scrolling through updates from your friends. There's also the option to set daily usage reminders, so if you don't want to use up too many hours liking and commenting, Facebook will step in with an alert. Again, this is similar to the app time limit features that Apple and Google are readying for the updates to their mobile OSes later in the year. Facebook confirmed to TechCrunch that it is working on the feature, but there's no guarantee it will ever appear to users – Facebook likes to experiment with changes and tweaks to its apps, but if they don't sit well with the people testing them out, they can quickly get removed from the roadmap. The timing would certainly be right if Facebook did introduce something like this. Instagram, which is of course owned by Facebook, is also busy working on a similar feature to highlight just how much scrolling and liking you're doing. Ultimately the likes of Apple, Google and Facebook want you using their products as much as possible – but they also want that time to be enjoyable and positive. If you're not getting anything good back from your apps, that's a problem for everyone.